Opinion: What do you do when……. ……..your local service provider damages two businesses so badly it keeps them closed for more than a year? And they dig their heels in to keep from paying for said damages? This is what happened in my hometown in July 2014. Water pipes underneath main street ruptured and flooded out the one-screen movie theater that has stood since 1914. It had been remodeled and updated only a few years earlier, complete with an area to accommodate those in wheelchairs. At the same time, the restaurant next door had been wrapping up its own remodeling and was preparing to re-open. 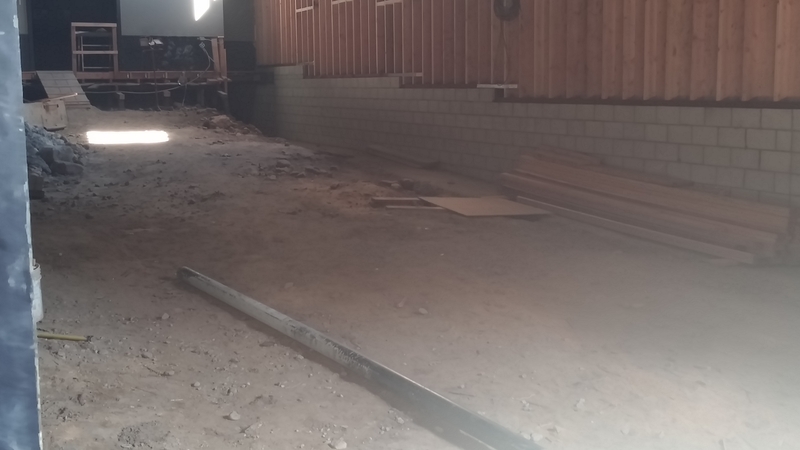 Both businesses shared a common hallway to the restrooms. 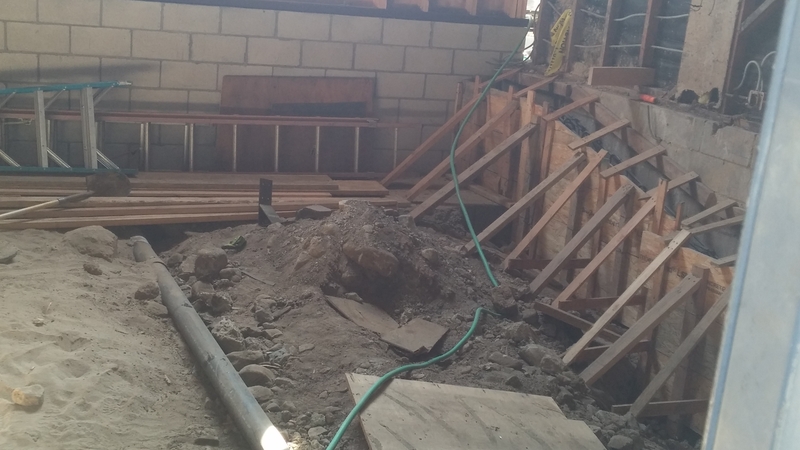 When the pipes ruptured, the water not only flooded the theater auditorium up to the three-foot high stage/screen area, it compromised the foundation under one of the restrooms. The theater has been red-tagged, meaning it is not safe to go inside the building. 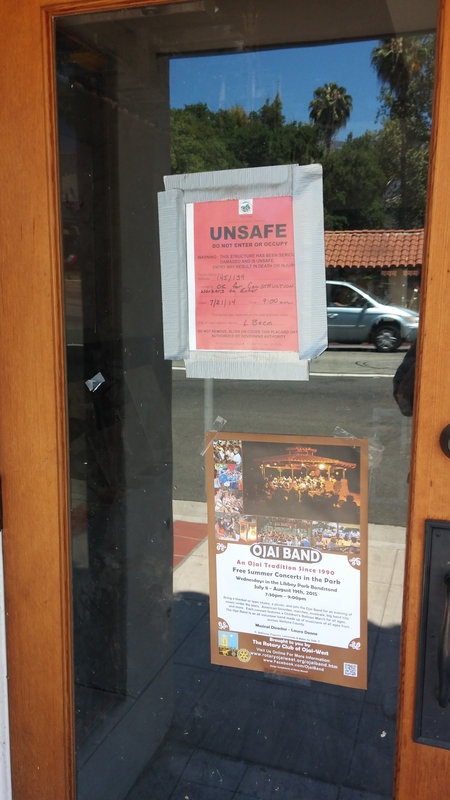 The restaurant, which is safe and ready to go back to serving local patrons and tourists, cannot open without access to those restrooms. This occurred a little over a year after another main break that left 800 residents without water, which is touched on here and here. The second link includes a video clip from KEYT, a local news station. The water company in question has been a poor member of our community since it became the primary source of water service for parts of my town. It has not been helpful or responsible in helping the two businesses it has essentially kept closed due to its inability or outright refusal to own up to its responsibility. 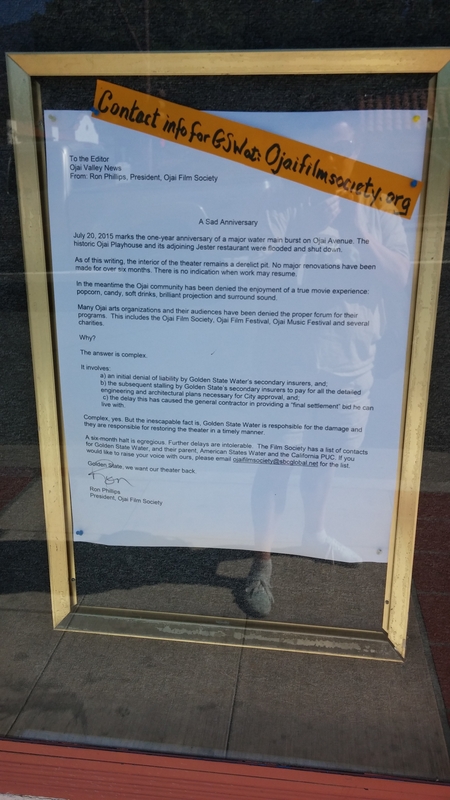 Below, letters to the company in question, posted where one would ordinarily find posters for the current movie playing. Between these two letters is a photograph of the theater’s auditorium looking towards where one would naturally expect to see a screen. My apologies for being in the shot. Below are pictures taken as recently as March 2015 of the interior of my local movie theater, where I grew up watching classics, independents and current releases. The top photo shows where the audience would have sat, eating popcorn or candy with friends and family. This second photo shows where the small stage (which stood approximately three feet high) stood and where the screen hung just above it. It has not changed as of this writing, on July 5, 2015. Many in my community are fed up with the foot-dragging and the non-answers and the insurance companies unwilling to own their responsibilities. 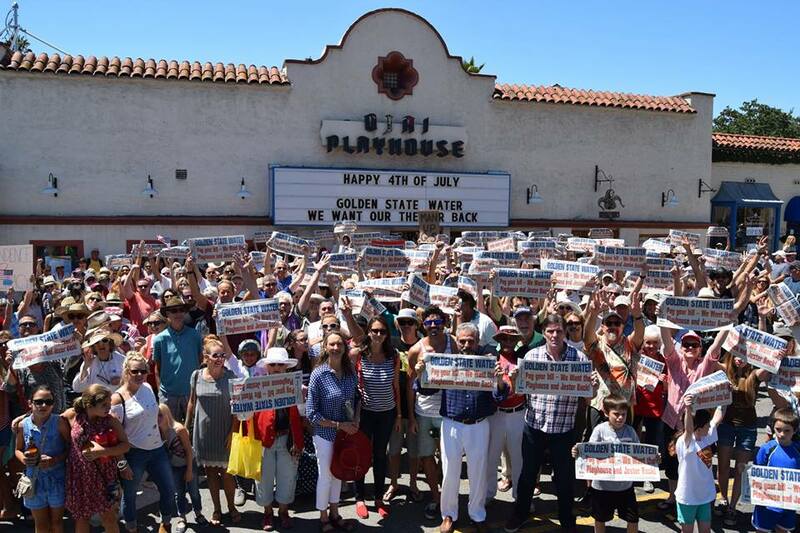 Below, is a photo taken on July 4, 2015, showing the citizens of my town protesting. 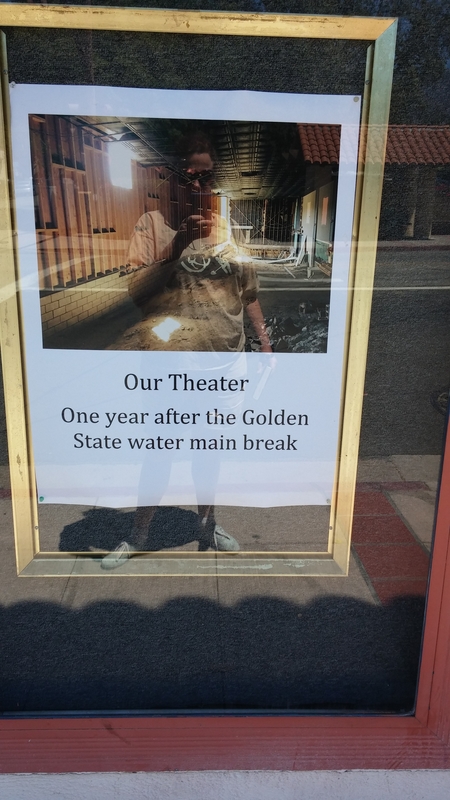 We want our theater back. 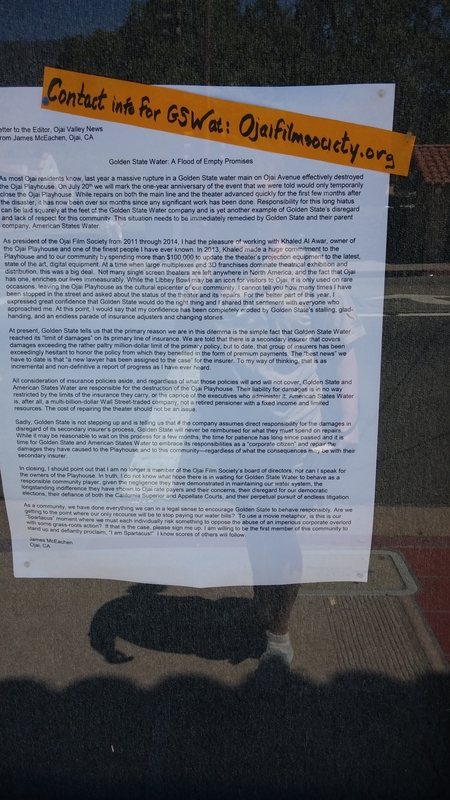 We want our restaurant back. We want a company that is a good citizen and acts responsibly in our community.